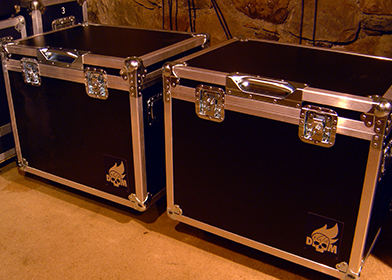 We are very excited, that we have delivered two Box of Doom units to the renowned, Millbrook studios located in Millbrook - NY. Studio owner Paul Orofino will be using them immediately for the first scheduled recordings. After receiving the BoD units from FedEx his first response was "All I can say is: WOW!...these things rock! 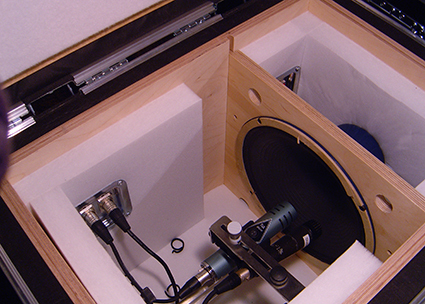 , very high craftsmanship"
The 2 x Box Of Doom, cabinets I have here at my place, have been a lifesaver. After moving into my new (smaller) 1 room studio, I was worried how could I cut guitars live in a tracking session, since everybody (the band and I) are all housed in the same room together? Well, the Box of Doom was the answer to my prayers. Who knew? And trust me, I had already owned, and sold all the other ISO cabs, and well as speaker eliminators/power soaks that were on the market. Cause it IS THE REAL THING and even does that one better. Because it has the ability to change its internal speaker in about 1 minute. JUST amazing. Not much more I can say...other then they're on every recording I've done since I purchased them!